Guest house at Flood Plain Produce. Late sum in the Hum yields plenty of mists, mellow fruitfulness and memories. By enjoying the former, you'll make the latter. 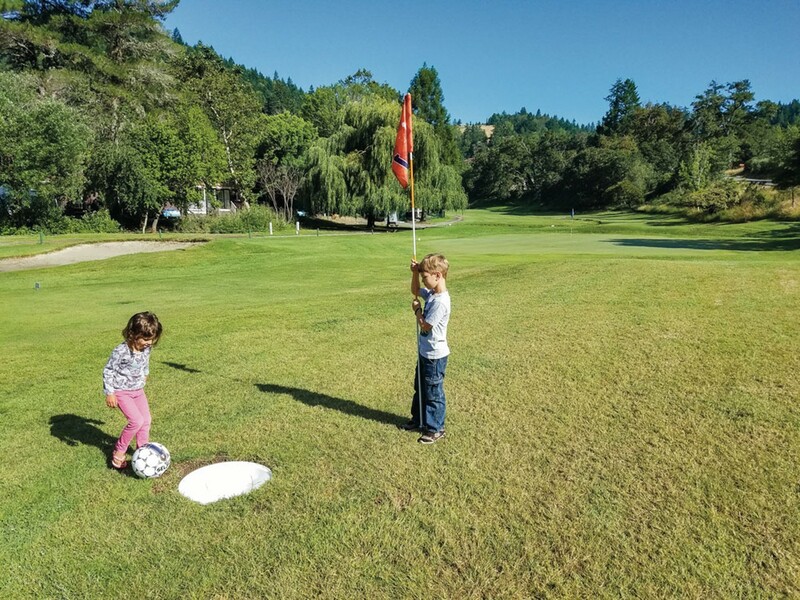 Here's a list of memorable short trips ranging from art gallery visits to organic ice cream binging to kicking a soccer ball around a golf course. Yup, that's a thing. Who knew? Plus, playing in the woods, feeding fish, catching fish and soaking up all that mellow fruitfulness. Enjoy. Crisp currents, placid swimming holes, and ripe orbs of purple berries. The Mad River, despite its name, doubles as a zone of happy. Pack a picnic, towels, your Mason jar for berry-picking and a few quarters for fish food. Take State Route 299 to Blue Lake and drive through town to Hatchery Road. Cruise past Mad River Brewing Company (river odysseys first, beer later), tool down Hatchery a couple miles and take the left fork into the Mad River Fish Hatchery. Park free till sundown. Buy some fish pellets at the gumball machine-like dispenser for a quarter and fling them over long concrete tanks of silvery steelhead fishlings. Access the river by walking across the hatchery zone or taking a trail past the fish ladders. Fill your jar with blackberries but beware of poison oak. Swimming holes dot both sides of the easy-to-cross river. Just remember currents can change quickly and turn dangerous combined with cold temperatures — enjoy your dip, but swim with caution. 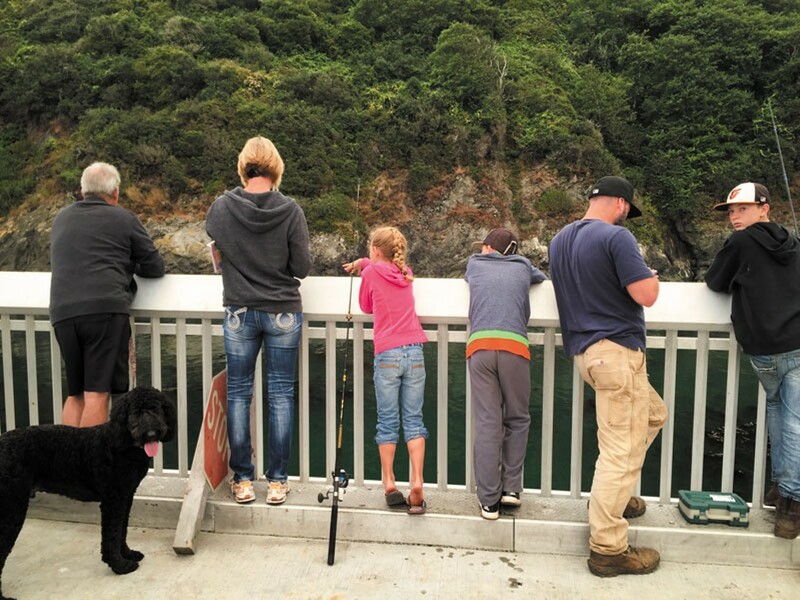 Even with a rented pole and tackle, you'll feel like a local as you compete for a fishing spot on Trinidad Pier. A one-day fishing permit goes for $15.12 at a license agent like Pacific Outfitters, any CVS store, or online at www.wildlife.ca.gov. Gear rents for $20 at Salty's Supply Co. on Main Street in Trinidad. Possible catches? 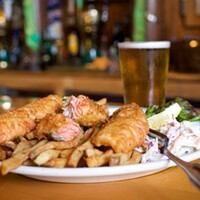 Perch, rockfish or ling cod, Pacific tomcod and jacksmelt. As you cast off into the mesmerizing waves, tourists may pester you with questions about what you're catching. Be friendly or be taciturn. You are Trinidad. You are one with the bay. Paddleboard Humboldt Bay, gliding across the flat waters along the shores, your feet planted on a wide surfboard. Gently paddle to propel your board toward Indian Island for a view of egrets, cormorants, blue herons or maybe seals. Watch your balance! Stand-up paddleboarding is an intense workout — cardio and core — that forces the pursuit of equilibrium. Less than stable? Then the sport allows you to cool off frequently by plopping into the bay. Lucky for you, a wetsuit is included in the paddleboard rental package. Beginners can sign up for lessons with Humboldt Bay Aquatic Center (921 Waterfront Drive, Eureka) or take the short lesson included with a $25 equipment rental. Humboat Kayak Adventures (Dock A on the Woodley Island Marina, Eureka) also offers equipment rentals including boards, paddles, wetsuits and personal flotation devices, as well as lessons. Both locations give you direct access to the bay so you don't have to hoist a board atop your compact car. The Palm Café's coconut cream pie. Coconut cream, cherry cheesecake, lemon-blueberry, pecan — all hand crafted by a piemaker with decades of experience. Rich, sweet fillings and crust that melts on your tongue. Hungry yet? 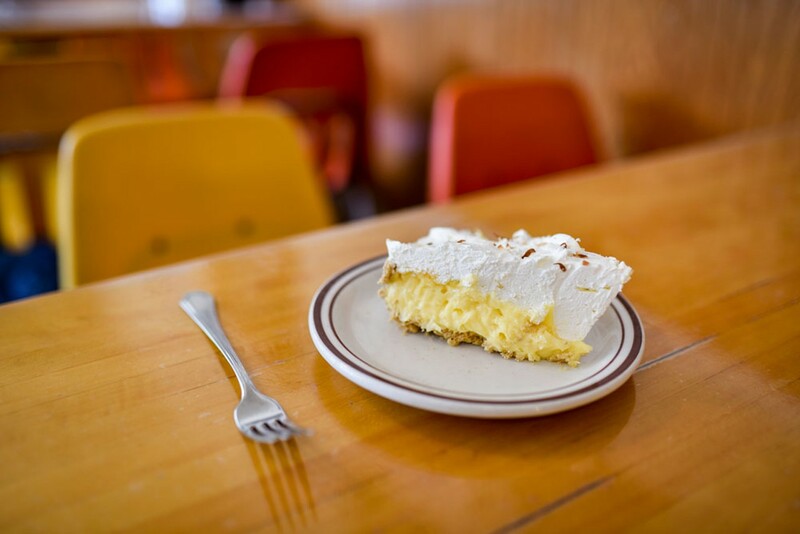 The Palm Café (121130 U.S. Highway 101) in Orick — that burly gateway to the Redwoods — is a global go-to for pie. Every day, 365 days a year, 91-year-old owner Martha Peals and/or her personally trained piemakers bake 10 flaky round pastries — generally five cream and five fruit varieties. A favorite is the strawberry rhubarb pie, made with local produce. Slices are $4.25 until 8 p.m. or the supply runs dry. Get a whole pie for $20. If that's your foodie fantasy, call ahead. Here's some serious farm-to-table, garden-to-grill: Rent a tidy, not-too-rustic guest cabin in Pepperwood and enjoy the bonus of tasty tomatoes and cucumbers from the family garden. 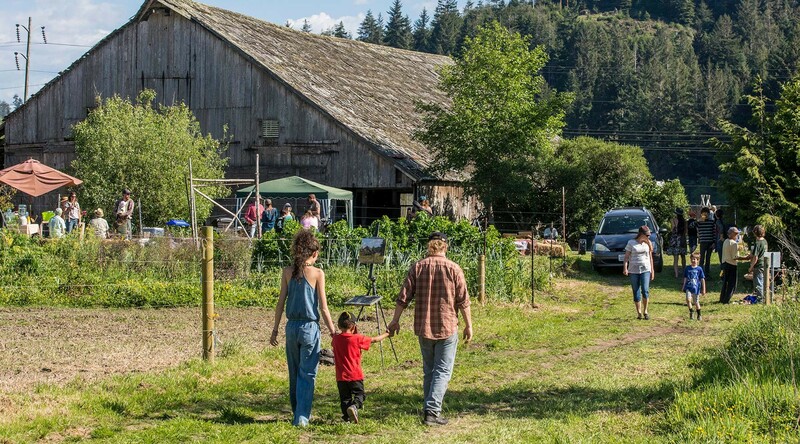 The Krebs family runs Flood Plain Produce (30873-30901 Avenue of the Giants, Scotia) and its guest house — you might have seen their veggies at the farmers market. 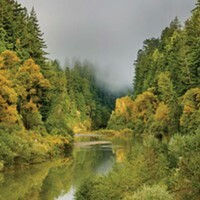 Fresh feels fab, especially if you've been out hiking in the redwoods. That's right, you'll be exploring. The cabin is surrounded on three sides by Humboldt Redwoods State Park. The cabin ($200 for the first night, $175 subsequent nights) includes a wood stove, grill, hot tub and access to the garden and orchard, not to mention Flood Plain's blackberry popsicles and the sweet, golden corn available at the Corn Crib next door. Sleeps four comfortably. Call the Krebs at (707) 722-4330. Arcata Scoop (1068 I St., Arcata) boasts a changing menu of artisanal organic ice cream flavors like vanilla lavender, lemon poppyseed and coconut orange chip. 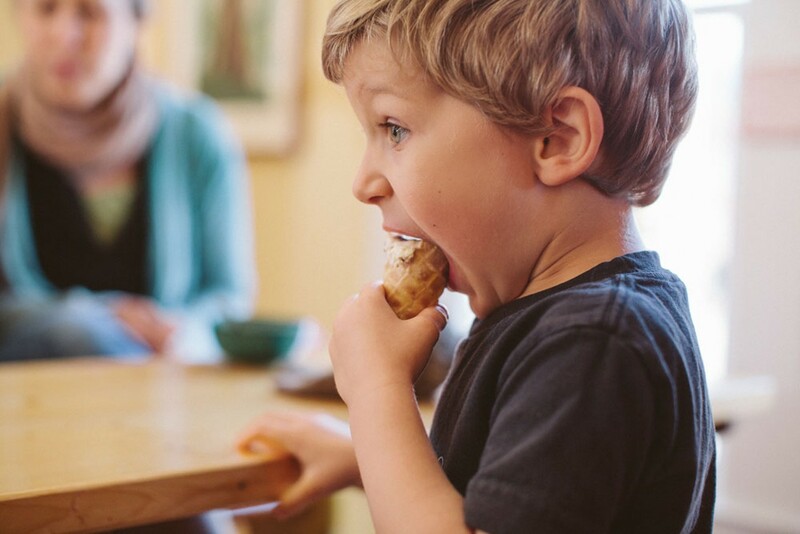 Treat yourself to one or more served in fresh, made-on-the-spot waffle cones. Are you vegan? 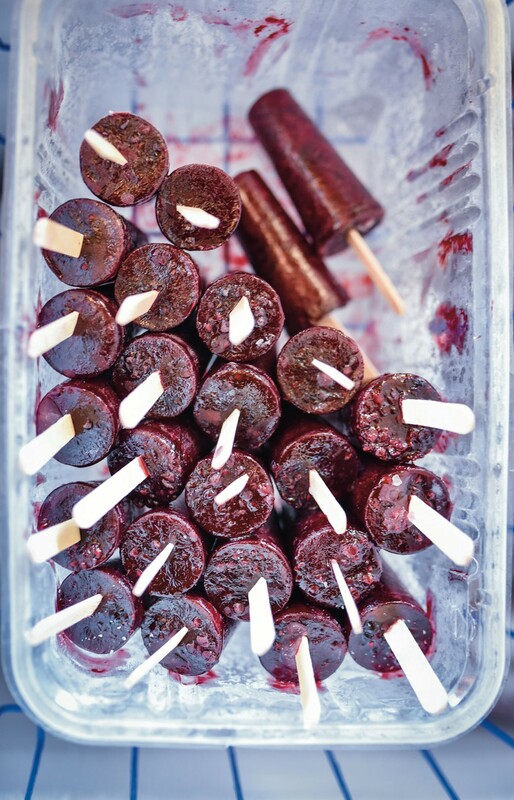 Scoop offers a dairy-free option that varies every day. Today's flavors can be perused on Scoop's Facebook page and on Twitter. The Wonderland-esque décor includes a wooden rocking giraffe that easily seats four and a larger-than-life-sized white rabbit that small people can ride for 75 cents. Local work at Redwood Art Association’s gallery. Trinidad Arts Night is the first Friday of the month in that famed fishing village. Grab the schedule of Trindad’s art openings and exhibits in the North Coast Journal (online at www.northcoastjournal.com) and hit the road. 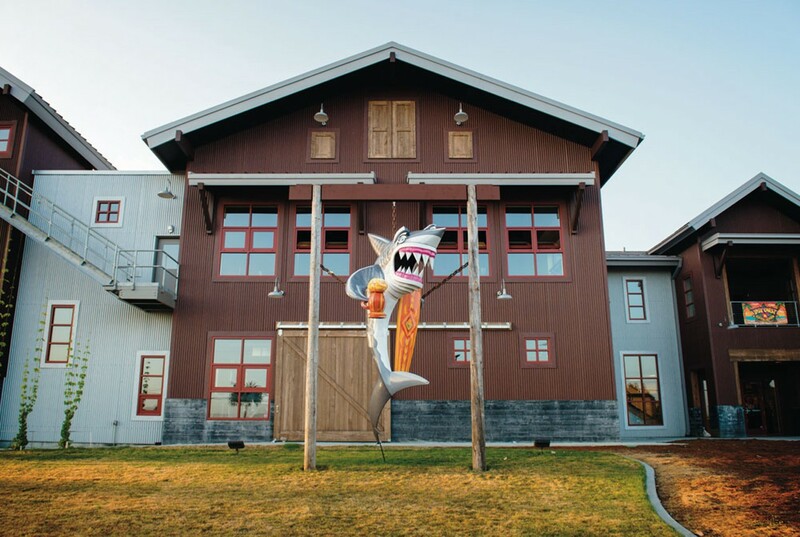 First stop, Moonstone Crossing for art plus a tasting flight that highlights the wine-making artistry of owners Don Bremm and Sharon Hanks. 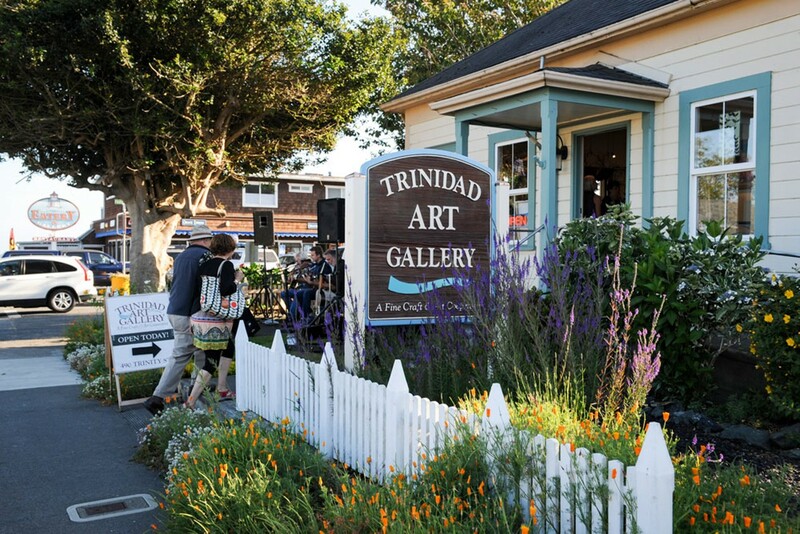 Across the street, check out the Trinidad Art Gallery, a cooperative showplace for about two dozen painters, potters, woodworkers and photographers. 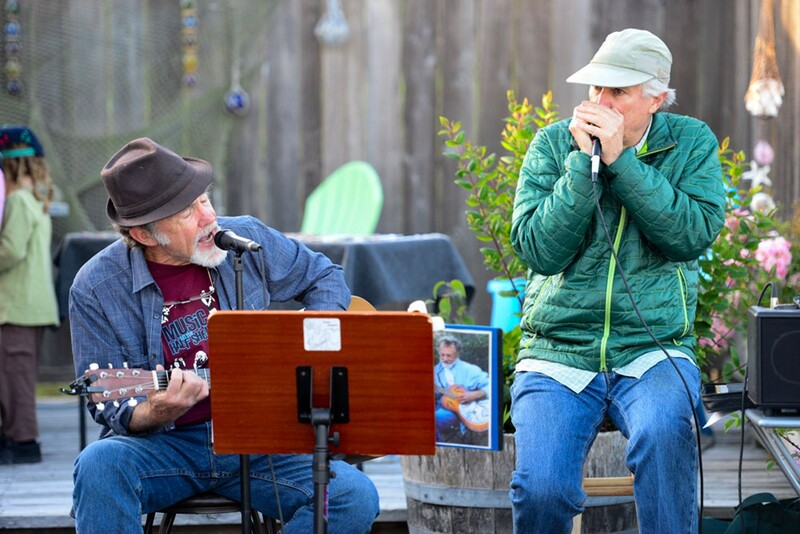 Pop into the Beachcomber Café for an organic snack and, if you’re lucky, music. Up past the Murphy’s Market, you’ll find Strawberry Rock Gallery. Revel in the works of a couple dozen more painters and sculptures. Perhaps you’ll spot gallery employee Antoinette “Toni” Magyar painting in the parking lot. One door down, have a glass of inky sirah at Bergeron Winery tasting room. Cross the parking lot to the Lighthouse Grill for dinner and visit the bathroom. Yes, the bathroom. There you’ll find Magyar’s epic panorama of Trinidad’s picturesque west end. The motto of Evolution Academy of the Arts (526 Fifth St., Eureka), formerly Eureka Studio Arts, is simple and inspiring: “Evolve your art.” This applies whether you are a novice who dreams of drawing or an artist who’s looking to hone your craft. The academy is a can’t-miss stop during Arts Alive! — demos, visiting artists, exhibits and hands-on artsy fun — and it offers many types of visual arts classes, from figure drawing to animation. For a low-commitment intro, drop in Thursday mornings for the ongoing mentored figure drawing classes ($25 plus shared fee for the model). Prefer to work at home? Watch for online figure drawing courses with artist Brent Eviston. Peruse all classes at the academy’s website, www.evolutionacademyarts.com or call (707) 572-5099. That’s evolution, baby. Have you heard that bit about Humboldt being home to more artists per capita than any other county in California? 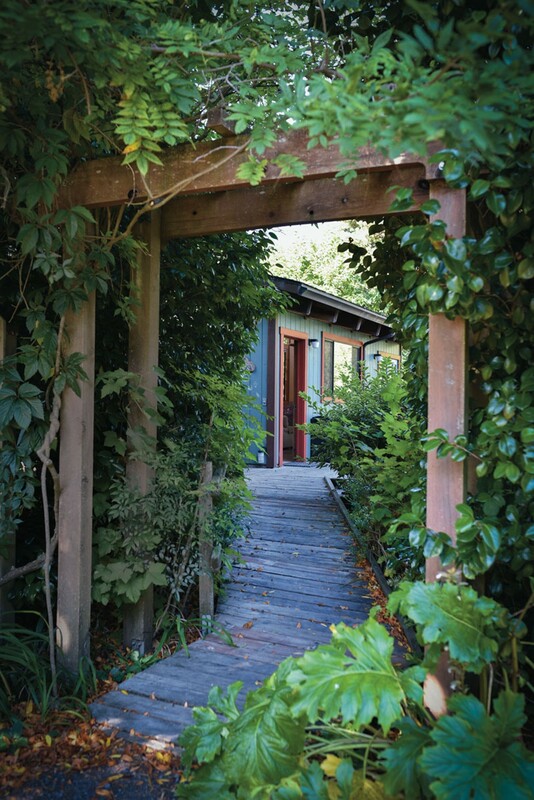 A visit to the Redwood Art Association gallery in Eureka (603 F St.) will convince any non-believers. 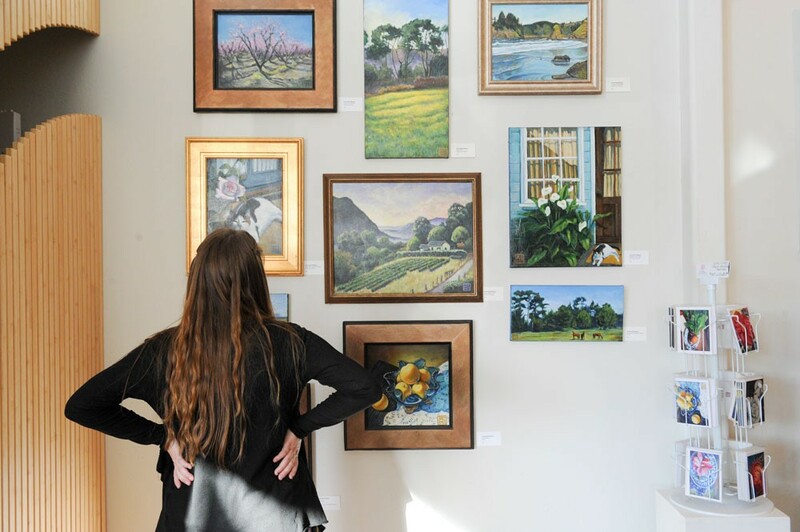 You can view the works of local artists on two floors of gallery space anytime between noon and 5 p.m. Wednesdays through Sundays. Upcoming special exhibits include the Humboldt Photography Exhibition July 20 to Aug. 19 and the RAA’s 58th Fall Exhibition Aug. 24 to Sept. 16. Rafting the Trinity. / Courtesy of Bigfoot Rafting. The new kid-friendly Freshwater Reserve Farm Trail (5851 Myrtle Ave., Eureka) goes out about a mile, along a flat, narrowing path and through diverse landscapes. See grazing mammals here, a restored salmon habitat there. 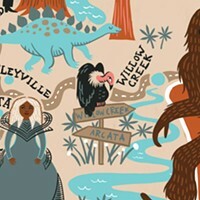 Interpretive signs explain these views — and their importance to our ecological community. 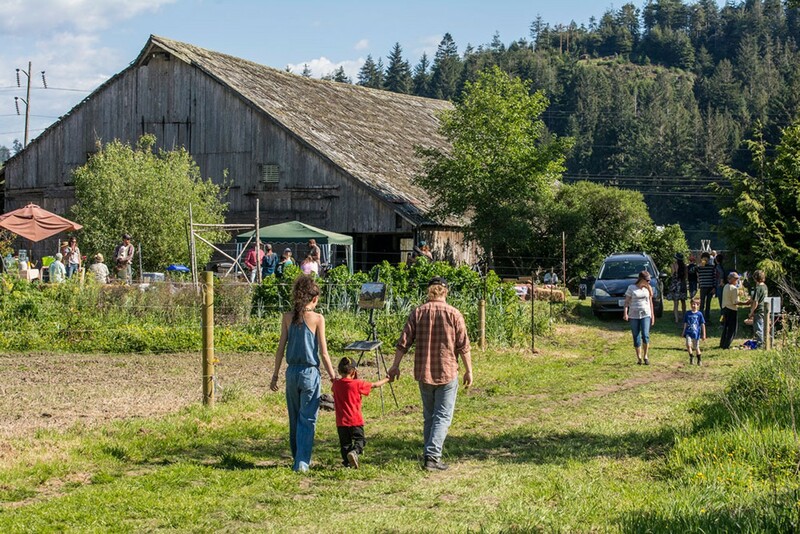 You can park south of the Kneeland Glen Farm produce stand, where you might also pick up some greens or jams to take home. Whether your little adventurers are wilderness explorers, vampires, pirates or ninjas or LARPers, the Arcata Community Forest offers a fine stage for playful theatrics. Park your vehicle in the Redwood Park lot off Bayview Street in Arcata and head to the back of the park to trek through the forest. Take your pirates or sneaky ninjas up and down Trail 1, snacks in their backpacks and mud-muckable shoes on their feet. What creatures might be lurking in that castle-like hollow stump? Break out the snacks in adjoining Redwood Park. Ensuing slide/swing/climbing action on the playground should tucker out the most tireless wilderness explorer. The nifty part about rafting the Class II rapids in the stretch of the Trinity River between Big Rock and Tish Tang is that they come at the end. You have several hours of family-friendly, kick-back floating down the Trinity first. That gives you time to get used to the tiny tumults coming your way. Bigfoot Rafting (40630 State Route 299, Willow Creek) takes kids as young as 4 years old (accompanied by adults) on its 9-mile lower Trinity trip. 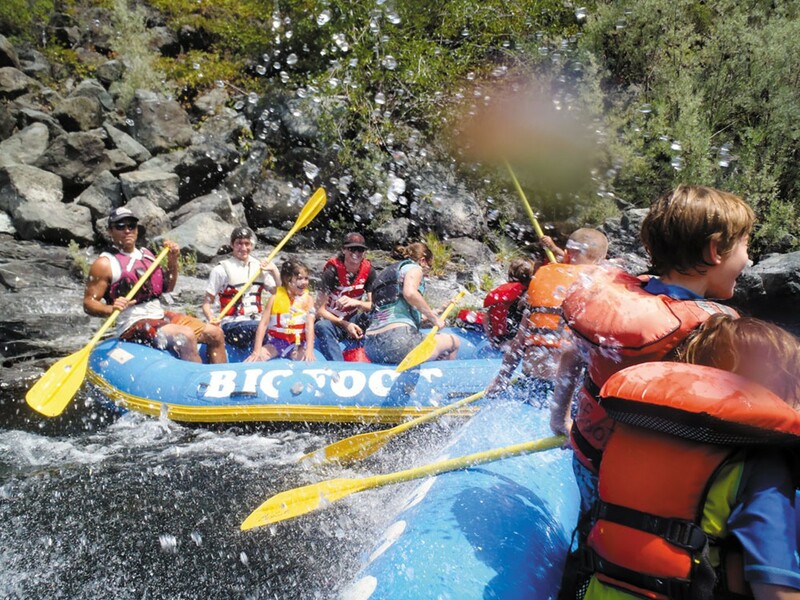 Plan on four hours of rafting — maybe five if the river’s in slow late summer mode. It’s $69 for adults and $59 for kids 12 and under. Snacks included. 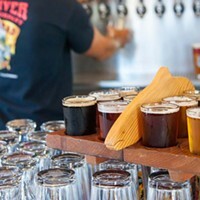 Lost Coast Brewery’s Cemetery Tap Room (1600 Sunset Drive, Eureka) is buried between graveyards. Get it, buried? 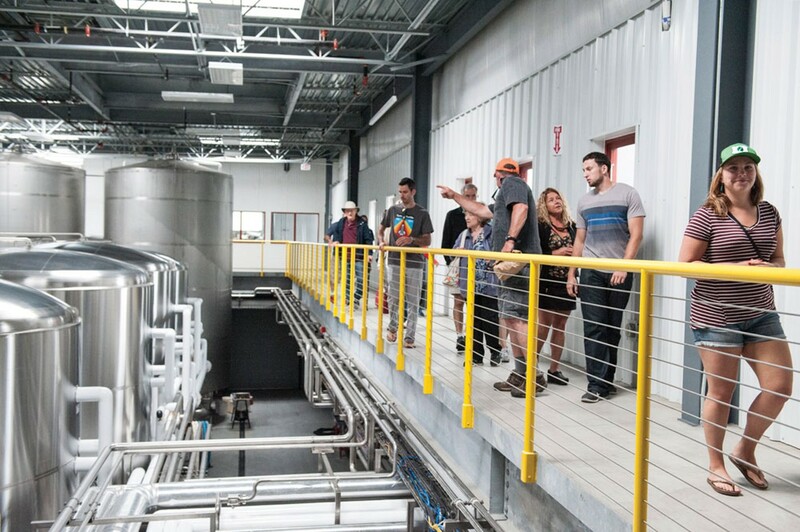 And it’s where you’ll wind up at the end of your tour of the brewery’s new facility. The tour takes you through the commercial brewing process from vast grain storage tanks to the brewmaster mother ship computer station that remotely concocts all that Alleycat Amber and Downtown Brown. See that 2,000-pound bag of C-15 malt from Eugene, Oregon? That’s a key ingredient for the popular Great White. The recipe also calls for coriander — ground in founder Barbara Groom’s old bread mill along with the kaffir leaves kept in the hops fridge. Every room on the tour smells different, says our guide, and the hops refrigerator “smells like heaven.” As of this writing, the tour is free. And popular. Make reservations. Kids can come and enjoy root beer. Also free are two post-tour liquid treatsies in the Cemetery Tap Room. The brewery’s first spooky-themed beer is a zingy double IPA called the Fogcutter. Yes, you can take home a case. The 120th Humboldt County Fair at Ferndale’s fairgrounds from Aug. 18-28 will be “one for the books,” say the promos. There’ll be battles of bands, a barbecue cook-off with celebrity chef Guy Fieri, carnival rides, bull and bronc riding, funnel cakes and prize-winning farm animals. And don’t forget the horse races. Only a handful of counties in California still offer horse racing at their fairs. Humboldt goes all out with fancy hats and betting action. 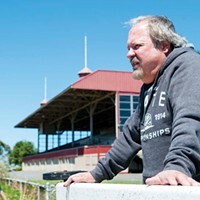 Even if you’re not ready to put down cash on a fast horse, the races offer a terrific place to people-watch. Editor's Note: Evolution Academy of the Arts has since closed.